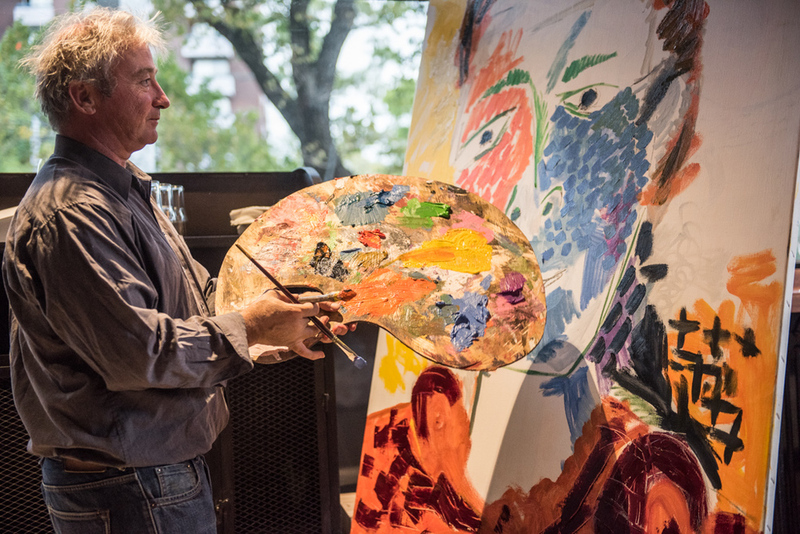 On display now at The Larwill Studio is a portrait of David Larwill, painted by his friend and artist, Mark Schaller. ﻿Painted live at our recent launch event, this unique portrait and collector’s piece, is now available for purchase through silent auction. Mark Schaller was a close friend of David Larwill; this portrait reflects their friendship and shared experiences within the Melbourne arts scene. The auction opening bid is $3000 and can be placed by emailing guesswho@artserieshotels.com.au. All monies raised will be donated to The Royal Children's Hospital, Melbourne. Recently we held a wonderful cocktail party to celebrate our opening. Co-hosted by our friends and neighbours The Larwill Studio, it was a wonderful evening of great food, a few drinks and fun. 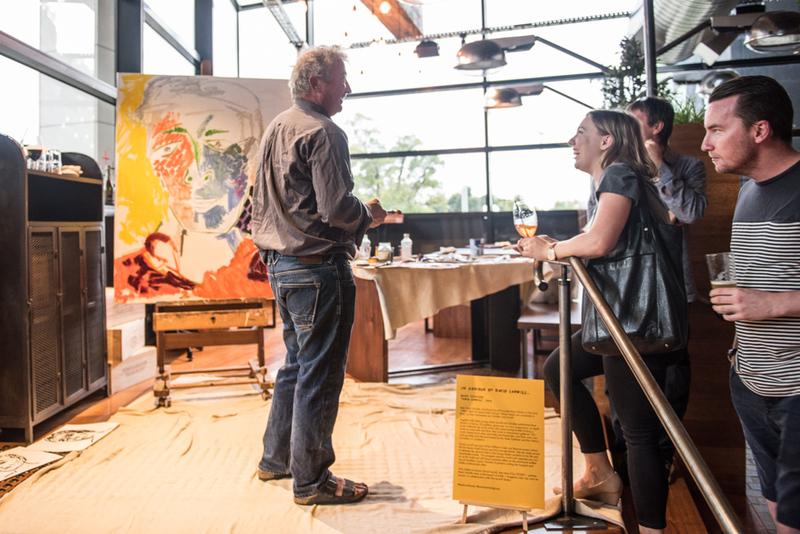 Artist Mark Schaller was on site to paint a portrait of his friend David Larwill. DJ Tim Murphy provided some tunes and as the sun went down guests enjoyed the hospitality which we are known for. Our first cocktail party was a huge success. 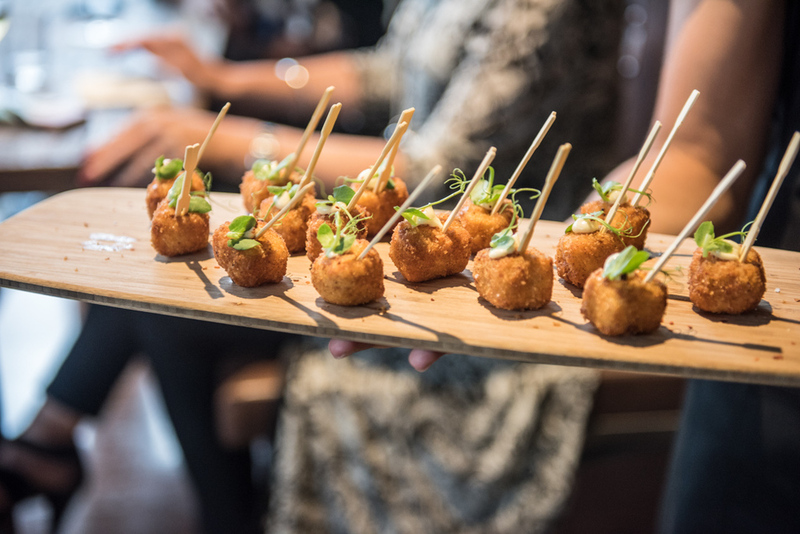 Contact us to find out how we can help make your next event just as wonderful. It's a universal fact that weekends are the best time of the week. Sleep ins, catch up with friends and family, lazy days or keeping fit - there are two whole days to fill any way you want. But this being Melbourne we know that your FAVOURITE way to start Saturday and / or Sunday is with a leisurely brunch. Excellent coffee is a must and that's why our baristas work with Axil Coffee Roasters beans. The kitchen makes sure all bases are covered - from healthy to hangover cure; all our breakfast choices are made to order and totally delicious. Best of all, breakfast is served from 7am - 3pm on Saturday and Sunday so that no matter when you want to start your day we'll be there to wake you up. No need to book, drop in and we'll organsie a table. We were recently visited by the wonderful Iron Chef Shellie who took some gorgeous pics of the venue,the team and our guests. You can see some of these images throughout our website as well as in the gallery below. 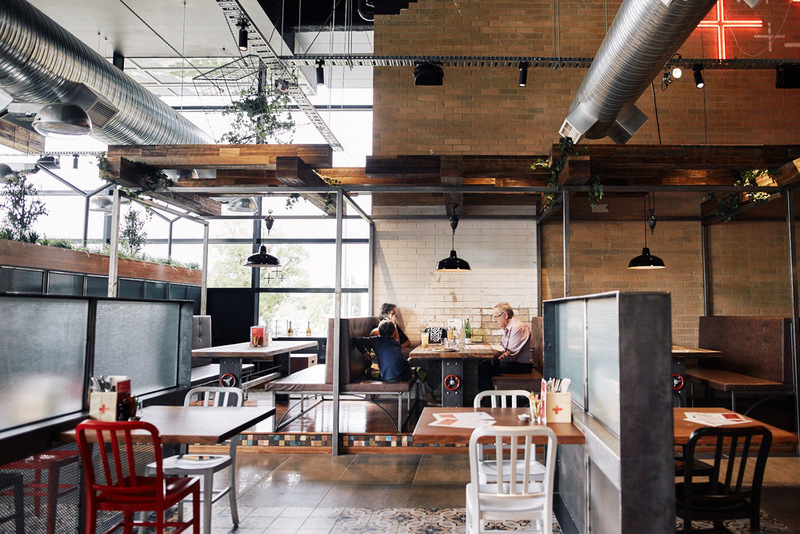 We think Shellie has captured the vibe of our restaurant - what do you think? 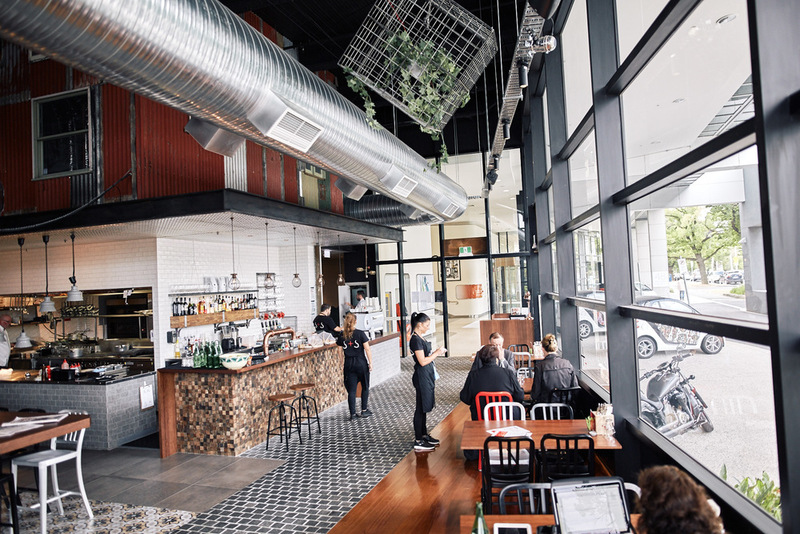 Ahh, coffee – where would we Melburnian’s be without you? 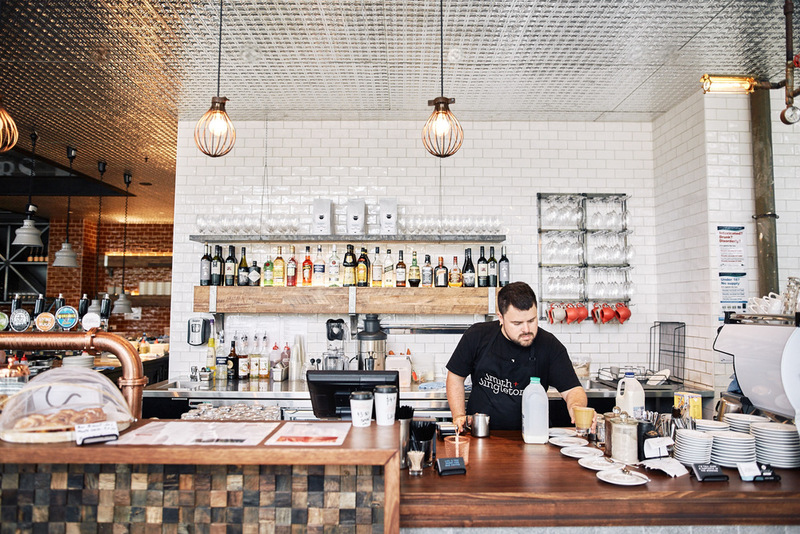 We’re serving delicious Axil Coffee Roasters for your daily brew. Our blend is fairly soft and served double ristretto style, so you get that caffeine kick whatever your coffee style. We are also grinding a single origin quinayas beans from Colombia. With flavours of brown sugar, plum and apricot our barista’s recommend that you drink this sans milk. Don’t forget, you can preorder and pay online using skip so your coffee is ready whenever you are. 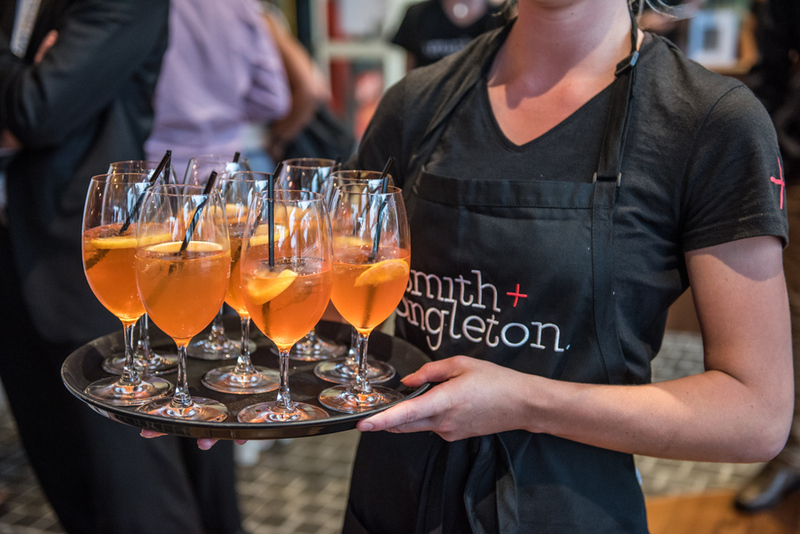 Who are Smith + Singleton? We’re a bunch of like-minded hospitality types. We’re always thinking about food and drinks, making time to go out and enjoy cafes, restaurants and bars at home and afar. Some of us have worked together for a long time, some of us have only just met. But all of us are looking forward to watching Smith + Singleton grow. As for the original Smith + Singleton, they were the civic-minded trailblazers who started the first Melbourne Children’s Hospital. The guys who began the institution that looks after all of our kids today. We’re proud to bear their name and to honour their memory. We’re so excited to finally be open, from 7am until 5pm 7 days a week. Breakfast is offered until 11am on weekdays and until midday on the weekend, with our lunch menu served from 11 until we close at 5pm. Due to a mishap, we have launched without our liquor license. As such, we thought we would wait until it clears before adding evening service to our offer. We’ve shared our planned wines, craft beers and cocktails so you know what to expect when we do start serving drinks and we are sorry that we can’t offer them to you now. In the meantime, the coffee is great, our smoothies delicious and our juices bursting with juiciness.